India located the US-flagged yacht, Nostromo, some 50 km off the coast of Goa. New Delhi: Prime Minister Narendra Modi authorised a secret Coast Guard operation to intercept a yacht carrying runaway Dubai royal Latifa Mohammed bin Rashid al-Maktoum after key national security officials advised it was necessary to secure India’s counter-terrorism and strategic interests, highly placed government sources have told Business Standard. 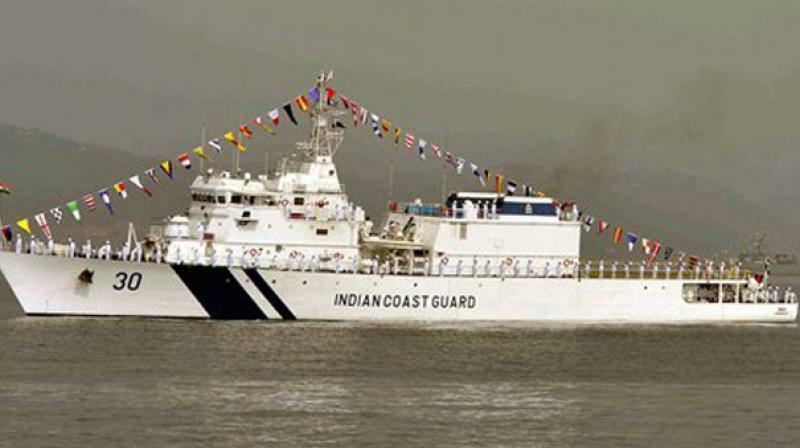 The unprecedented March 4 operation involved three Coast Guard ships, including the state-of-the-art offshore patrol vessels Samarth and Shoor, helicopters and a maritime surveillance aircraft. India located the US-flagged yacht, Nostromo, some 50 kilometres off the coast of Goa. New Delhi has so far declined to either confirm or deny the operation took place. “No such incident has been brought to our notice”, a Ministry of External Affairs spokesperson said in response to a query from Business Standard. The Coast Guard did not respond to an email seeking comment. The operation, which the sources said was coordinated by national security advisor Ajit Doval, led to the rendition of the 33-year-old princess, who has said she was seeking to escape torture inflicted by her father, United Arab Emirates Prime Minister and Dubai ruler Mohammed bin Rashid al-Maktoum. In a pre-recorded video released online after her arrest, Princess Latifa said she and her elder sister, Shamsa, had been beaten, tortured, threatened, detained, and forcibly drugged for years because of their efforts to seek personal freedoms. Princess Latifa, eyewitnesses on board the yacht have said, was handed over to UAE military personnel by the Coast Guard even as she demanded asylum — sparking an international row over India’s action. Former French intelligence officer Hervé Jaubert and Princess Latifa’s friend Tiina Jauhiaien were also handed over the UAE by the Coast Guard, but subsequently released after pressure from western diplomatic missions on the UAE. In an interview to the Helsinki Times, Jauhiaien said “15 men came onboard fully masked, in black clothing, with machine guns and laser sights. It was the most terrifying experience of my life”. In the interview, Jauhiaien said Princess Latifa, whose passport was held by her family, planned to land in Goa and then fly to the United States to seek asylum. Lawyers representing Princess Latifa did not respond to email from Business Standard asking how she intended to enter India without legal travel documents. In New Delhi, two officials familiar with the Coast Guard action said, acted after personal messages were received from Prime Minister al-Maktoum seeking assistance in seizing the United States-flagged yacht, which, he claimed, had been used to kidnap his daughter. London-based law scholar Abhimanyu George Jain, however, told Business Standard that “if the interception and subsequent detention are sought to be justified on the basis of Indian immigration law, in the absence of further facts, at the very least there would be an obligation of due process”. The operation, interestingly, took place even as Indian and UAE officials were engaged in final negotiations for extradition of 1993 Mumbai serial bombings accused Farooq Yasin Mansoor, also known as Farooq ‘Takla’, who was returned to face trial on March 8. Alleged by the Central Bureau of Investigation to have arranged transport for bombers linked to ganglord Dawood Ibrahim Kaskar, Mansoor had been sought by Interpol for over 20 years. Nineteen of 64 fugitives extradited to India have been sent by the UAE, including alleged Indian Mujahideen financier Abdul Wahid Siddibapa, Lashkar-e-Tayyaba linked terrorist Abdul Sattar, and a slew of 1993 bombing perpetrators. In addition, a number of suspects wanted in ongoing investigations have been quietly forced to return home, without formal legal process — notably alleged Islamic State financier Moinudheen Para Kadavath and Indian Mujahideen suspect Faizan Ahmed. New Delhi has also cultivated a deep strategic relationship with the UAE, which is India’s fifth-largest source of hydrocarbons. In addition to holding a 10% stake in a UAE oilfield, India’s underground strategic petroleum reserves near Mangaluru are also being filled by the country.